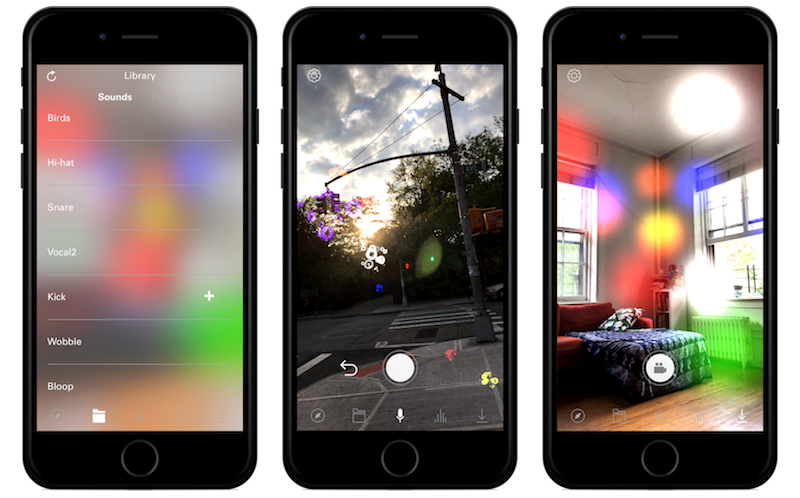 The post These fanciful new apps weave virtual music worlds in VR and AR appeared first on CDM Create Digital Music. 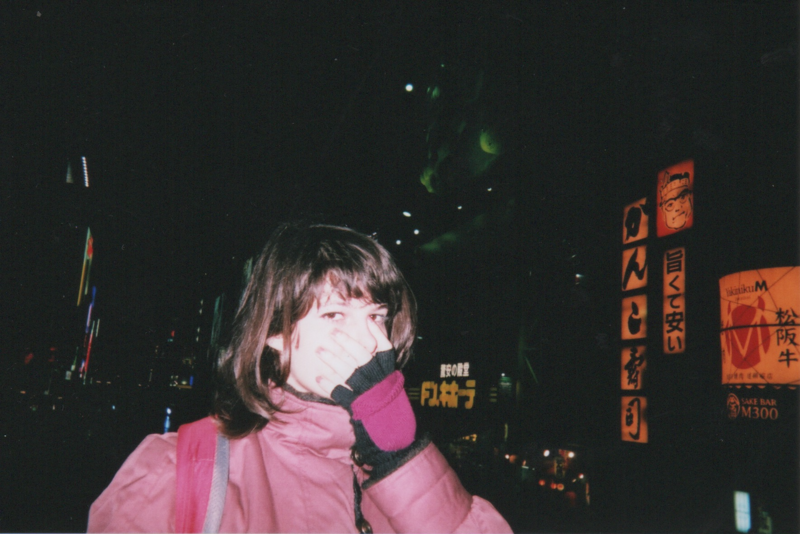 Miami-born Uchi is a fresh face as LA collective BL_K NOISE meet up with Berlin’s Raster – and that’s a perfect time to catch up with her and reflect. Dive in, commit. It’s that moment when the mixer fader is up and you start your live set, the let’s-screw-up-our-lives risk-taking bigger moments we make sometimes for musical passion. It’s the willingness to screw up live and screw up life, maybe. That sums up why a lot of us are here as well as anything. And so that makes Uchi’s approach refreshing. Just as your email promo inbox is full of drab, sound-alike techno and washes of disinterested distorted ambience, Uchi kind of doesn’t follow any rules. 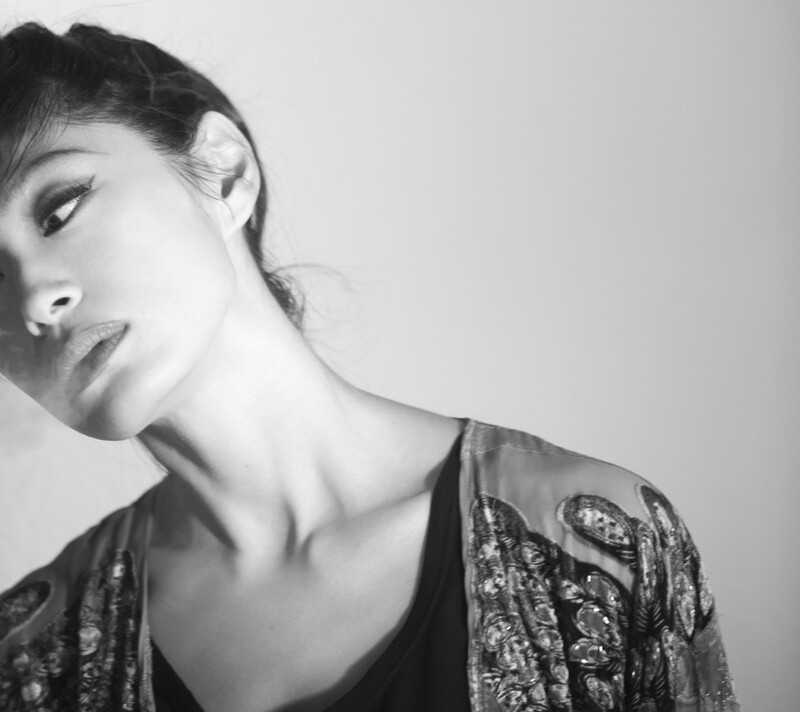 Her DJ sets are diverse and daring, her live sets going deep and abstract and back again. And she talks to us a bit here about that abandon. It’s also paying off. Uchi has gone from being known in Miami to becoming a regular at Berlin’s most sought-after slots – including Berghain’s upstairs Panorama Bar and its darker, weirder new ground floor Säule. But the best part is, I think we don’t know quite what she’ll do next. There’s a couple of EPs, a full-length album, and various podcasts coming and … well, the hell with predictability. The artists you want to watch are the ones that will surprise you. January is definitely when we celebrate new music gear, thanks to Anaheim, California’s massive NAMM convention show. But then why not celebrate new noises, too? BLK_NOISE has assembled for Saturday a party made up of artists willing to push their electronic instruments until they hurt. From team USA, you’ve got Richard Devine, Surachai. 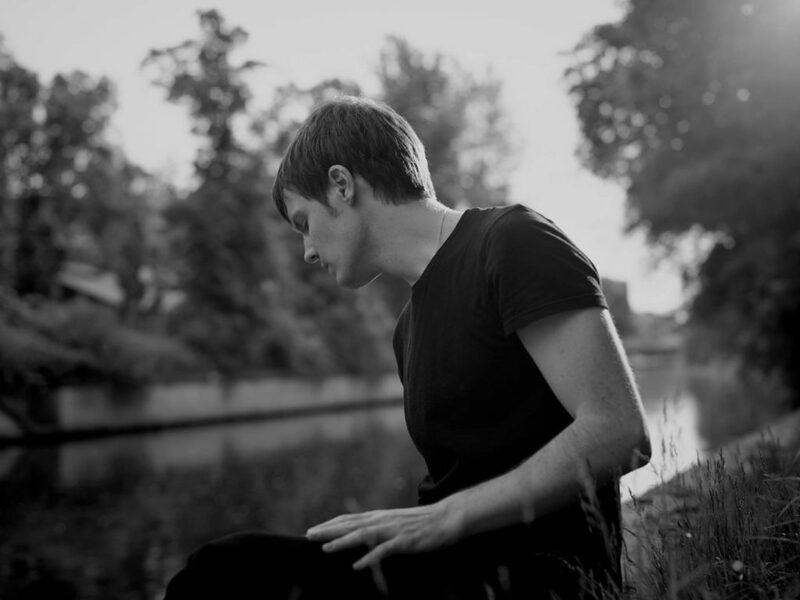 From Germany, label Raster – the imprint formerly known as Raster Noton – Grischa Lichtenberger, and label co-founder Byetone. 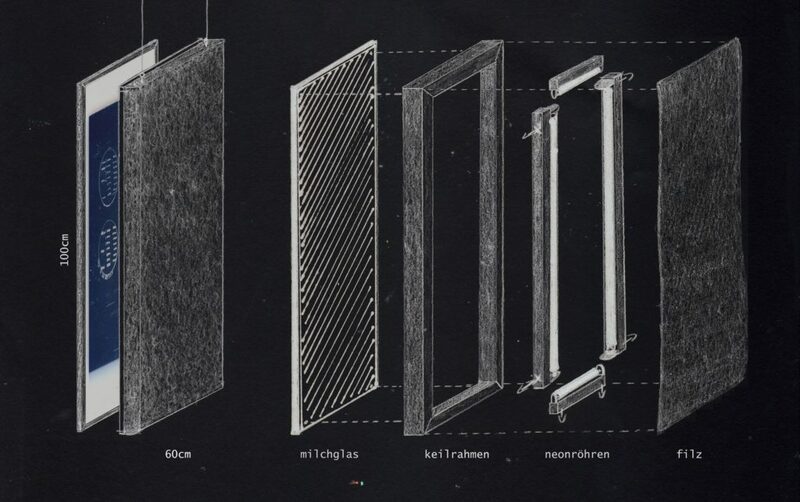 (Carsten Nicolai aka Raster Noton is going solo again, reverting his label to Noton.) And then there’s secretive BLK_NOISE anchor Belief Defect, who have feet in both Berlin and LA. PK: What’s the set you’re preparing for LA? 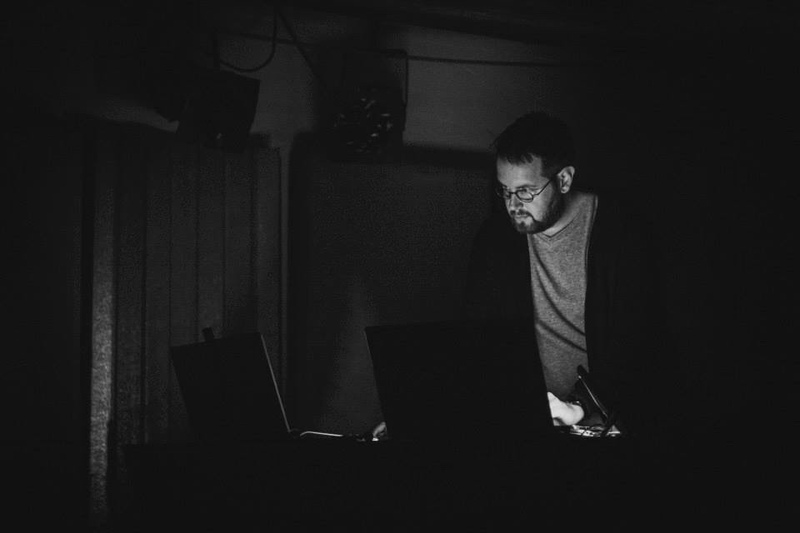 I loved this noise set that just streamed from Halcyon [in New York]. Uchi: I don’t know what happened there! It’s so weird! I have the recording of it myself; I gotta hear it and see! I think for this show I’m going to use somewhat similar setup I’ve been using for most noise shows these days, a narrow selection of stuff, and complete improvisation — or zero preliminary sequencing. It’s the first time I’ll try an AV setup, which is exciting! It seems like you’ve had some pretty significant shifts in your life, your musical direction … especially as some of the folks who will be hearing you in LA as well as our readers may not know you yet, what’s the trajectory been from Miami to Berlin? How did you get where you are currently? Yeah, I guess there’s been a lot of changes the last couple of years. I lived in Miami since age 10, up until college. After I finished a degree in Computer Science, I took DJing (obtained from radio hosting at University) more seriously, as well as actually working on something I used to do for fun — (Ableton fiddling) making music. The Boiler Room set came about from Juan Del Valle, now a friend. His influence was to convince me to make a live set. That being said, it was my first live set ever, and it was on Boiler Room – lol! BUT it was a great way to learn how to use hardware! Then Berlin came after the release on Plangent Records, which made the first gig in Panorama Bar happen. That made me decide not to get a flight home, basically. The interesting thing is that just before I left Miami, everything had already started changing. I was pretty active in the noise scene, which was a whole different level of exploration in music, the exact opposite of composition and programming or what I used to make the Boiler Room set. Noise changed also the way I record, too. It seems I find single takes, and master out mixes more interesting than spending hours on a single detail or mixing down. I guess trying to finish ideas in one day if the case has a lot of details, otherwise just simple pressing record (mistakes included) and room recordings. I made the album and the last couple EPs basically playing them. Since moving to Europe, which changed literally everything about what I knew, and also playing for promoters in different cities, I’ve had the chance to do something different. Nowadays, I’m combining all influences together — noise improvisation, changing patterns, speed, writing melodies or lack thereof, depending on so many different things. For instance where, when, and for whom each show is prepared for, relative to time, and where things are for me at the moment — it’s never the same. I’m still figuring it out, but if there is something to expect, it should be to expect something new. These Saüle appearances have been great … in this age and (city!) people can cling to a somewhat narrow and clasutrophobic view of genre, so that’s a relief. Can you talk a little bit about you’ve been playing lately? Well, I guess Säule was a bit of the turning point. It made me realize its not far-fetched to combine everything into one presentation. Funny you say claustrophobic view of genre! That puts it a bit better in perspective actually. 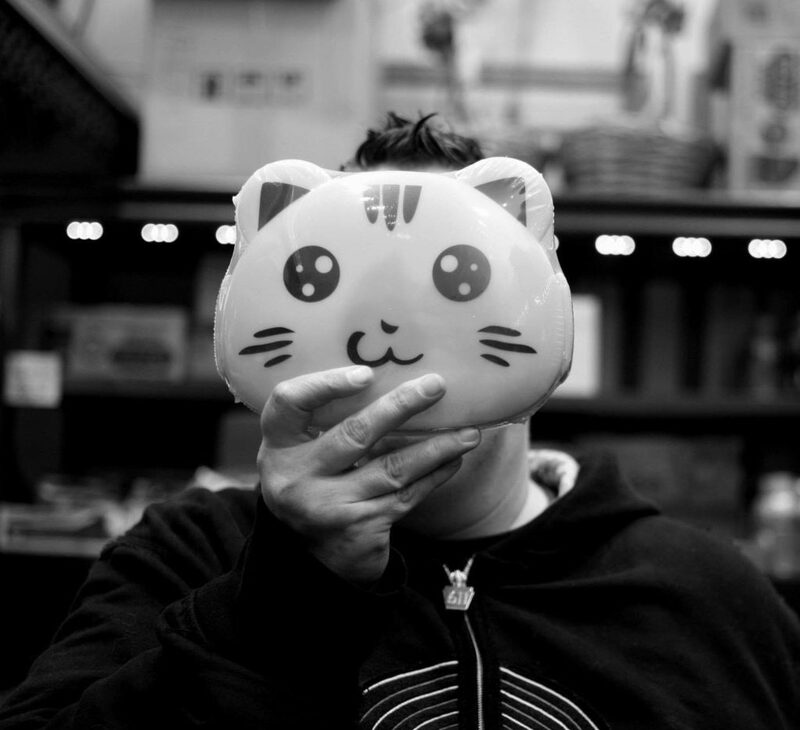 I think the first time was probably one of the most liberating DJ sets of my life, the first time I felt like myself. The struggle of genre has been real for a really long time, but thanks to that lately, I reeeally don’t care for dance floor “rules” too much, and follow just, whatever feels right at the time. I’m curious to what you would describe those gigs as. Mmm, eclectic? This is why I wouldn’t really call myself a music journalist, just a musician. So to that — what are you using to play for this live set? Not just to sort of get gear-focused, but instead — what does this mean as far as instrumentation, as composition? For sure, it will be a Moog Mother [Mother-32 synthesizer] running, pitching it sporadically, plus vocal whale sounds … maybe some screaming. Also some Koma Elektronik noises generated from the Field Kit [“electro-acoustic workstation”] and BD101 [analog gate-delay pedal] as main effects, messing with any signal sent to the aux [input] of the Field Kit. I guess as “composition,” I suppose breaking it down by frequency – the vocal stuff is a lot of mid-range melodic, of course, with a ton of reverb and delay, the Moog for low-end and the Koma stuff for texture, high-pitch screeching, and pulsating static. These have been my favorite pieces of gear to use for noise shows. I made the last album using the Moog heavily, so it’s kind of been my main instrument for almost two years, along with Koma stuff which is heaven for noise freaks — the Moog sounds on another level! And some classic reverb and distortion pedals, Boss DS-1 [distortion pedal, since 1978] and Eventide Space. What do those instruments mean to you; how do they impact how you play spontaneously? They are my children!!! I supposed their user interface totally affects how they are played. For example, the large knobs of the Mother and the semi-modular part for patching and combining it with it with the BD10 light sensor (which kind of acts like a theremin), and putting that in the Field Kit mixer, which has got a life of its own. The signals kind of bounce with each other. Feed-backing is waaay fun. 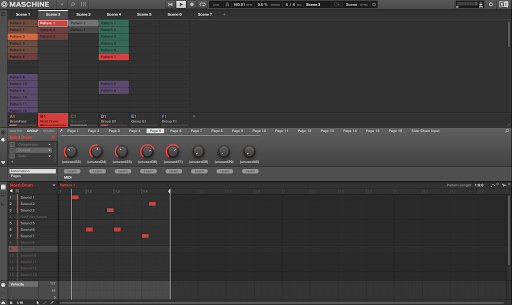 Also, the continuity of LFO’s makes it easy to do multiple things at once. Whatever instruments I’m using at the moment play a really large role in every live set, if not the biggest role. I hope to be switching to full-on modular this year! Wish me luck. 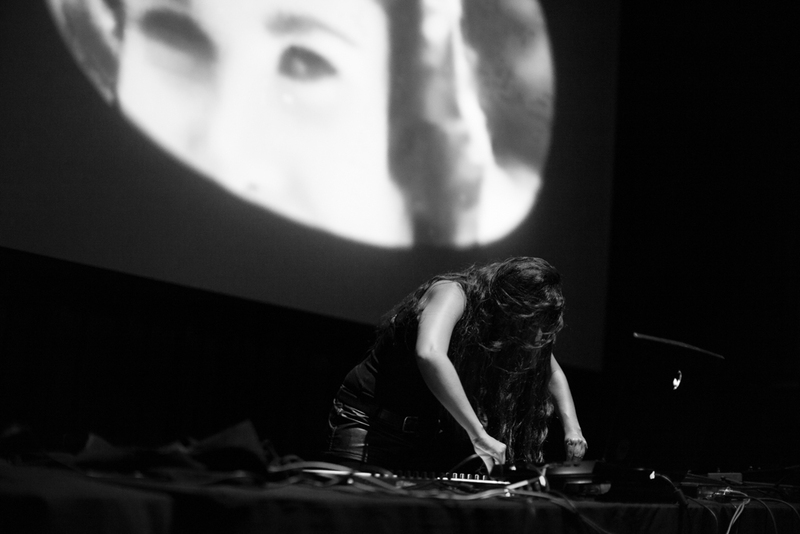 The post Noise generator: a chat with Uchi, as LA celebrates electronic sound appeared first on CDM Create Digital Music. Belief Defect’s dark, grungy, distorted sounds come from hardware modulars in tandem with Reaktor and Maschine. Here’s how the Raster artists make it work. 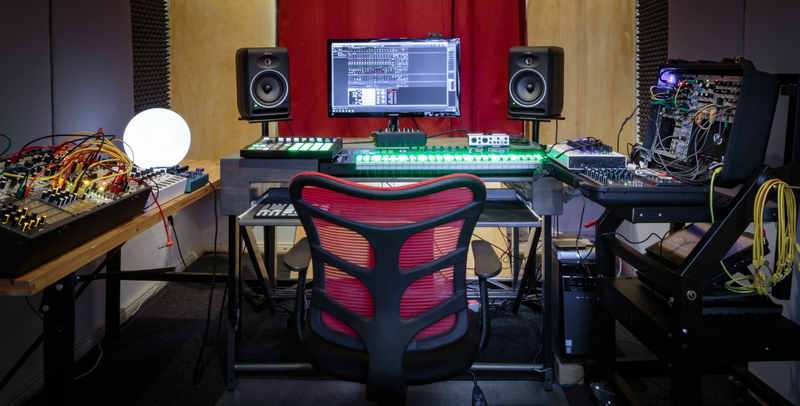 They’ve got analog modulars in the studio and onstage, but a whole lot of the live set’s sounds emanate from computers – and the computer pulls the live show together. 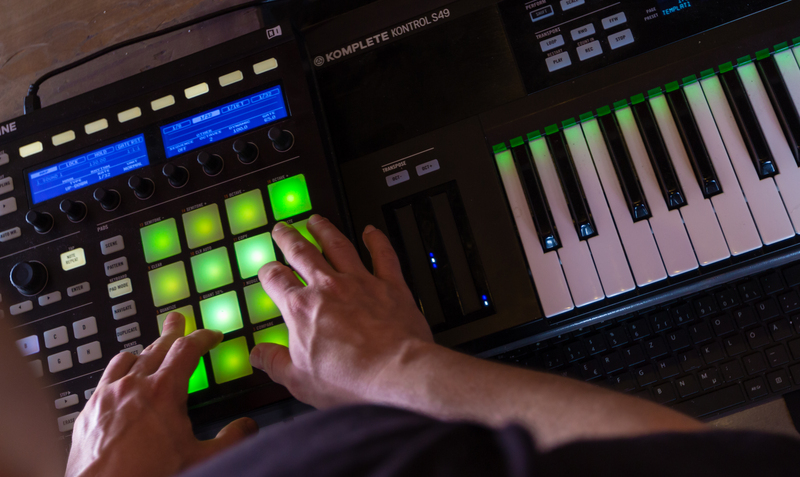 That’s no less expressive or performative – on the contrary, the combination with Maschine hardware means easy access to playing percussion live and controlling parameters. They’ve got a diverse setup: modular gear across two studios, Bitwig Studio running some stems (and useful in the studio for interfacing with modulars), a Nord Drum connected via MIDI, and then one laptop running Maschine and Reaktor that ties it all together. 1. Embrace your Dr. Frankenstein. Patching together something from existing stuff to get what you want can give you a tool that gets used and reused. In this case, Belief Defect used some familiar Reaktor ensemble bits to produce their versatile drum kit and effects combo. Don’t overlook the simple. A lot of the sound of Belief Defect is clever, economical use of the distinctive sound of delay, reverb, filter, and distortion. The distortion, for instance, is the sound of Reaktor’s built-in Saturator 2 module, which is routed after the filter. I suspect that’s not accidental – by not overcomplicating layers of effects, it frees up the artists to use their ears, focus on their source material, and dial in just the sound they want. And remember if you’re playing with the excellent Reaktor Blocks, you can always modify a module using these tried-and-true bits and pieces from the Reaktor library. 3. Check out Molekular for vocals. 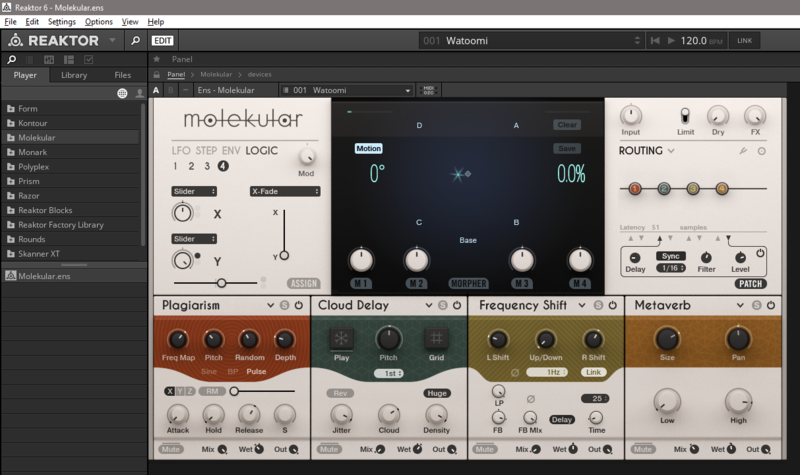 Also included with Reaktor 6, Molekular is its own modular multi-effects environment. Belief Defect used it on vocals via the harmonic quantizer. And it’s “free” once you have Reaktor – waiting to be used, or even picked apart. 4. Maschine can act as a controller and snapshot recall for Reaktor. 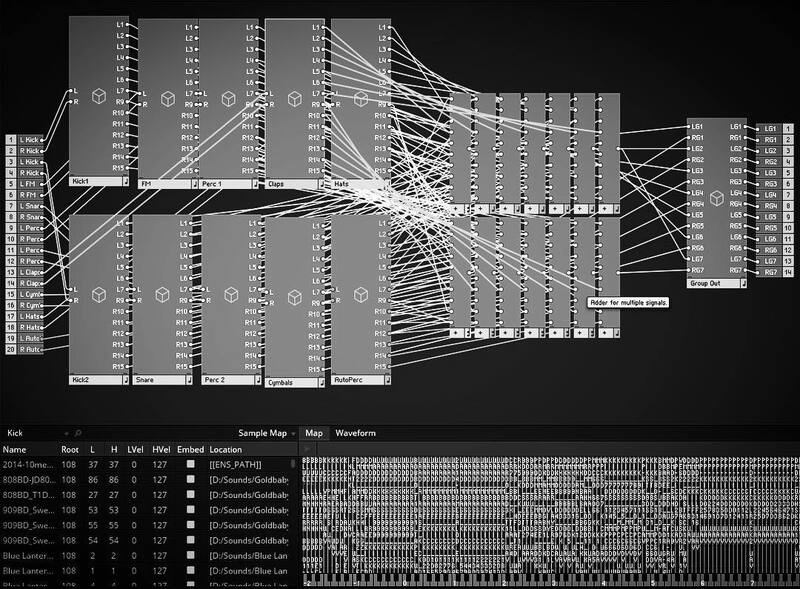 One challenge I suspect for some Reaktor users is, whereas your patching and sound design process is initially all about the mouse and computer, when you play you want to get tangible. 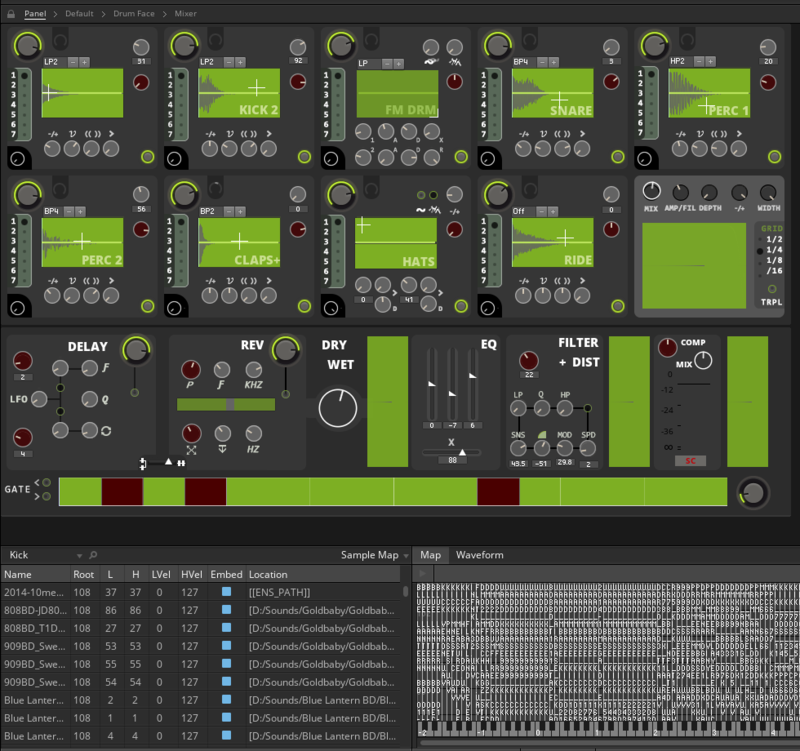 Here, Belief Defect have used Reaktor inside Maschine. Then the Maschine pads trigger drum sounds, and the encoders control parameters. Group A on Maschine houses the Reaktor ensemble. Macro controls are mapped consistently, so that turning the third encoder always has the same result. Then Reaktor snapshots are triggered from clips, so that each track can have presets ready to go. 5. 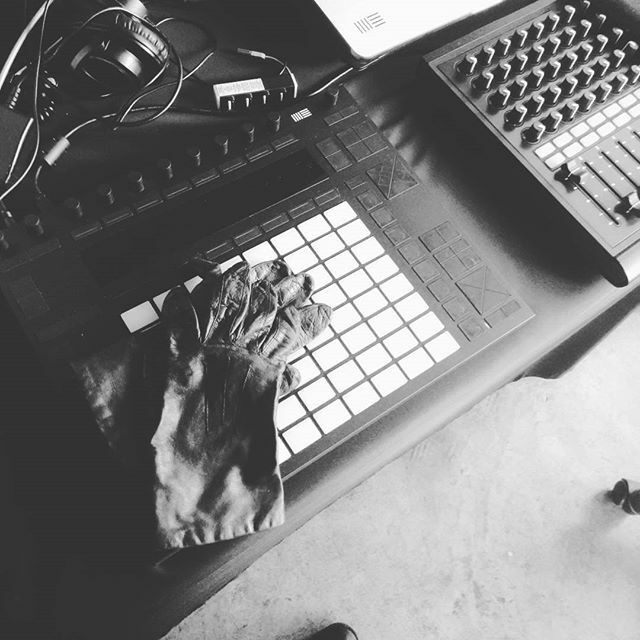 Maschine can also act as a bridge to hardware. On a separate group, Belief Defect control their Nord Drum – this time using MIDI CC messages mapped to encoders. That group is color-coded Nord red (cute). 6. Build a committed relationship. Well, with an instrument, that is. 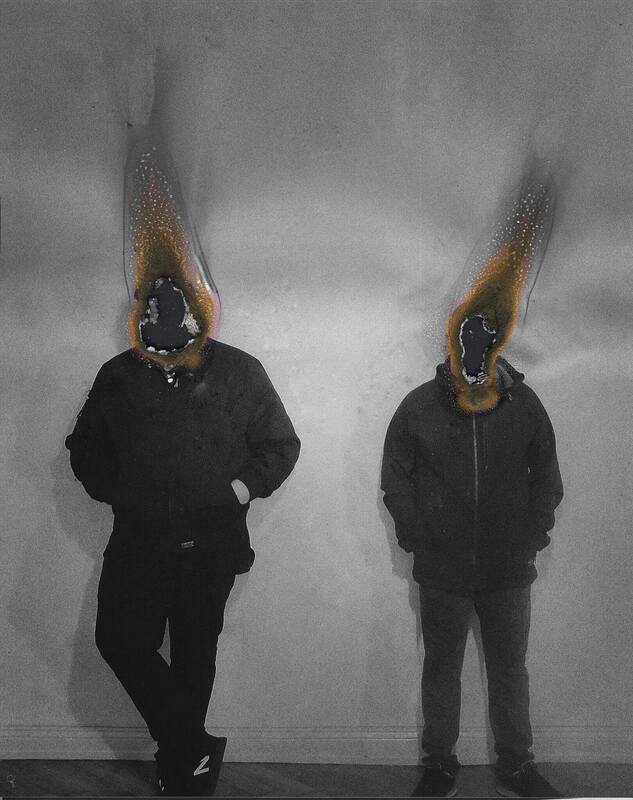 By practicing with that one Reaktor ensemble, they built a coherent sound, tied the album together, and then had room to play – live and in the studio – by really making it an instrument and an extension of themselves. The drum sounds they point out lasted ten years. On the hardware side, there’s a parallel – like talking about taking their Buchla Music Easel out to work on. 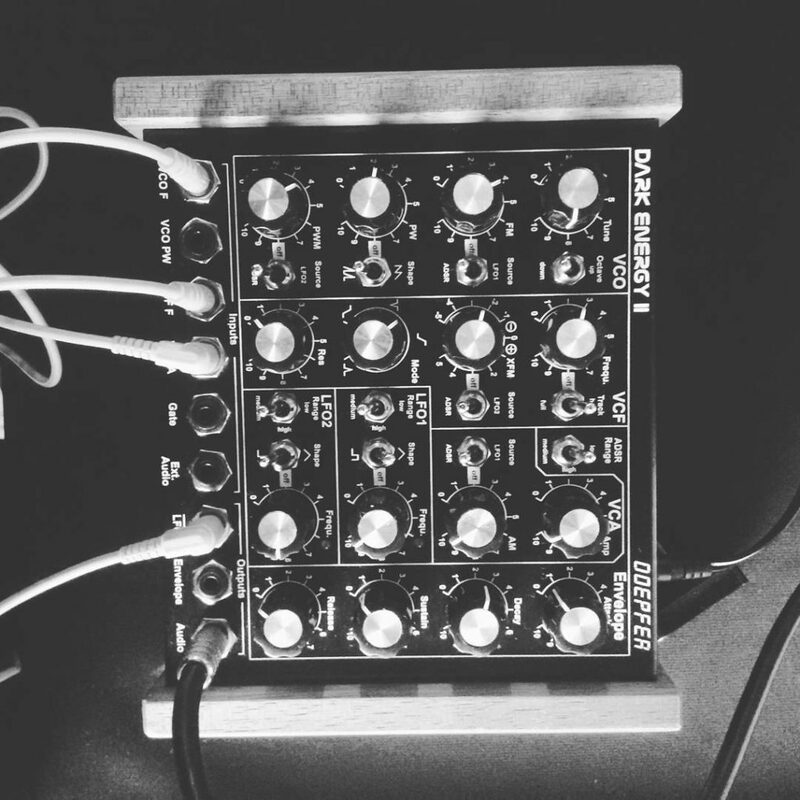 The post What you can learn from Belief Defect’s modular-PC live rig appeared first on CDM Create Digital Music. Demian Licht is building a portal – one connecting us to a new future, one scrapping the parts of society holding people back, one linking the world. 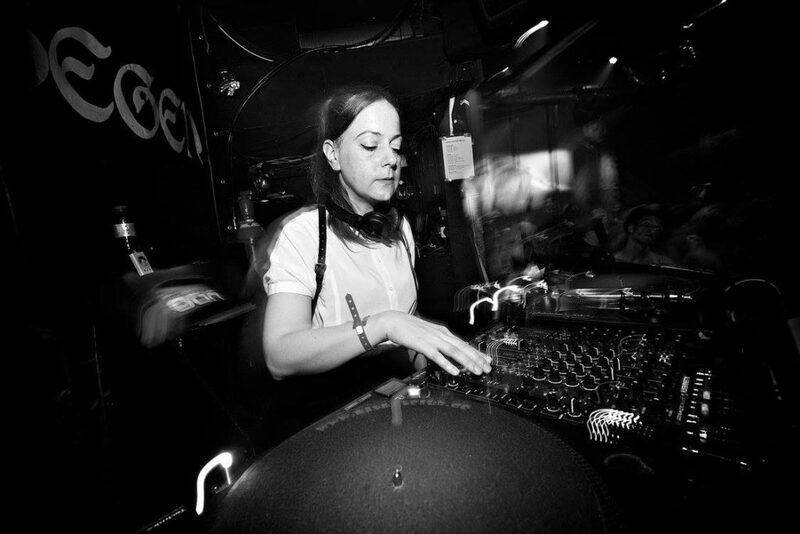 She’s not just making techno – she’s making a statement about the future with her music and practice, one that resonates with Detroit’s pioneers and the bleeding-edge aspirations of a new generation today. Oh, and there’s some strange physical portal involved, too, one purportedly located at the geographic center of Mexico – uh, maybe. But you might want to watch that spot. 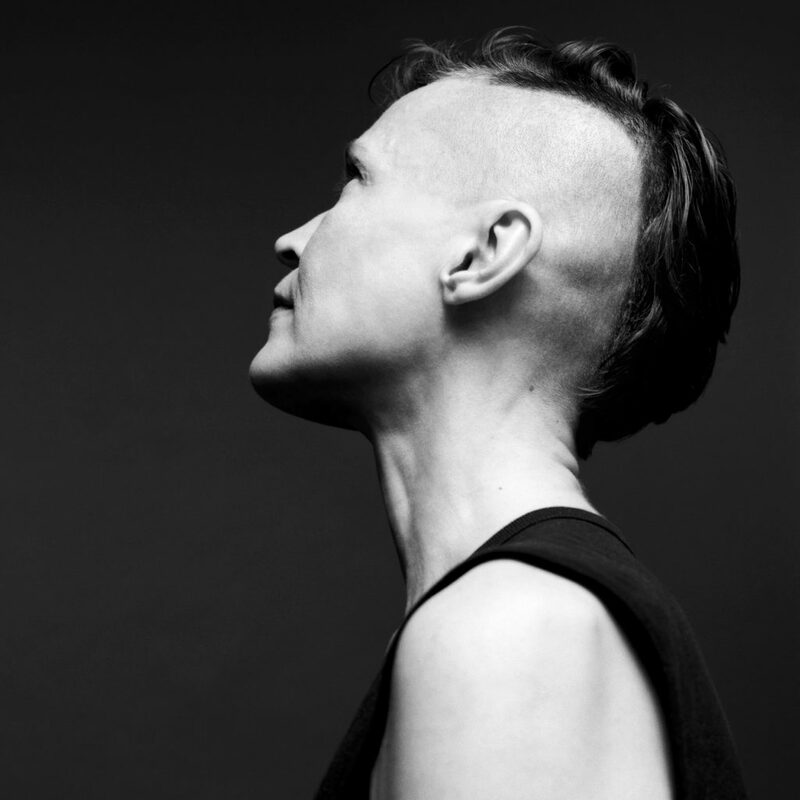 So, not only did we want to hear more about Demian Licht’s approach to music after being wowed by her Female Criminals series (now up to two volumes plus one excellent remix album), we wanted to hear about her thoughts on society, too. 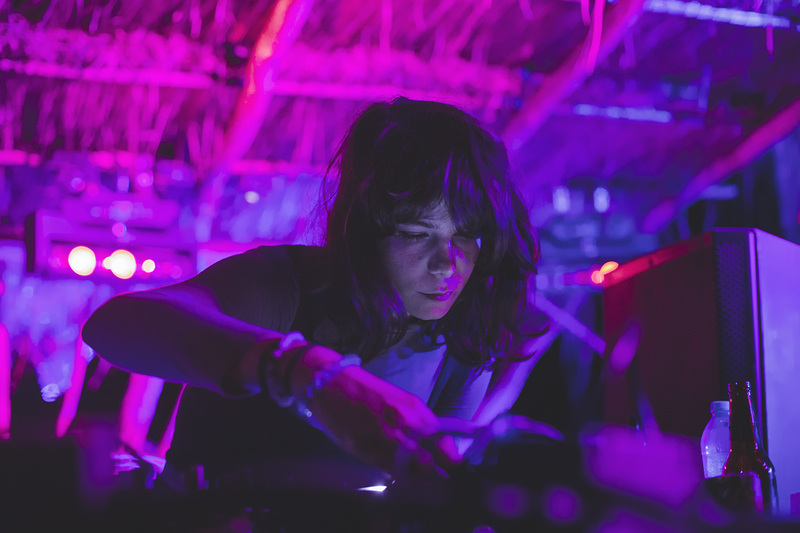 Demian is one of the top Ableton trainers you’ll find worldwide, and her knowledge and skills go well beyond just using that one tool into deep explorations of sound and meaning. We take a look inside her studio, and get some of this knowledge transmitted directly our way, too – and have a glimpse at some of the emerging scene in Mexico and her own next audiovisual opus. And lately you were probably thinking the future was looking dim. Peter: Let’s start with the theme “Female Criminals.” I know you had these personas in mind in the first volume. How has that evolved in volume 2? What’s your connection to the theme, or what are we hearing in this release? Demian: Female Criminals is my script to explore sonically the deepest side of the female mind: the dark side, the savage, the intuitive, the mystical — skills of women by nature, but that have been suppressed by society for centuries. Vol. 1 has been my first approach to exploring the ‘criminal’ side of the female mind. I am using this term not as an obscure way to think about it; it’s more in the sense of the ‘forbidden’ which has been imposed by society by blocking the real nature and power of the female mind. With this mindset, Vol. 2 narrates the history of a crime made by a woman from the desire to the act. There’s to me a really cinematic quality to the music. Can you tell us a bit about the different vocal sample sources in these tracks? 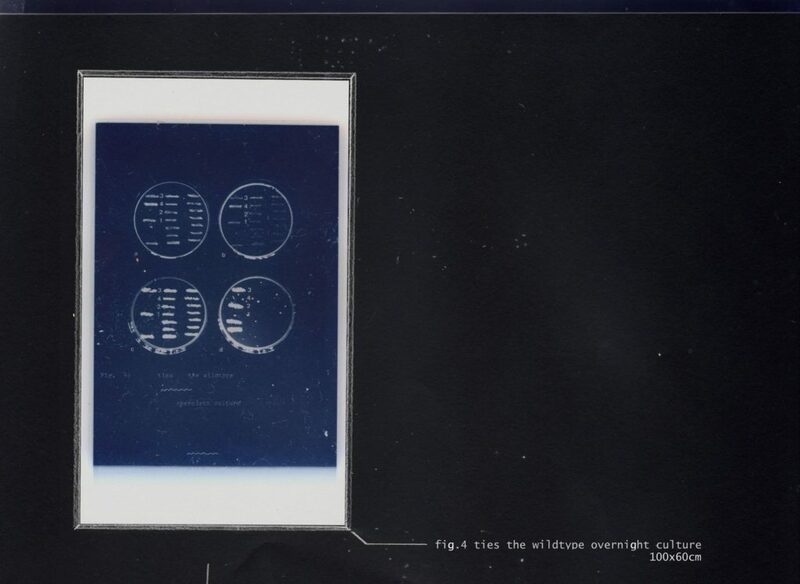 What about instrumentation, too, also connecting to the theme? Definitely, and that was my main intention. I’ve always been interested in the cinema field; I want it to translate the cinematic language into a sonic experience. For this volume, I’ve re-sampled a piece of a wonderful Finnish composer, Kaija Saariaho, that has touched me really deeply. I’ve used a ‘secret weapon’ inside Native Instruments Reaktor to completely change the structure and sound of the piece. I’ve used some of the edited results of this experiment to construct the history of Vol. 2. 3. I can imagine these tracks both in a listening sense but also for the dance floor – do you DJ with these, as well? Or how do you see the role of the DJ in your work? I’ve always presented my work as live. 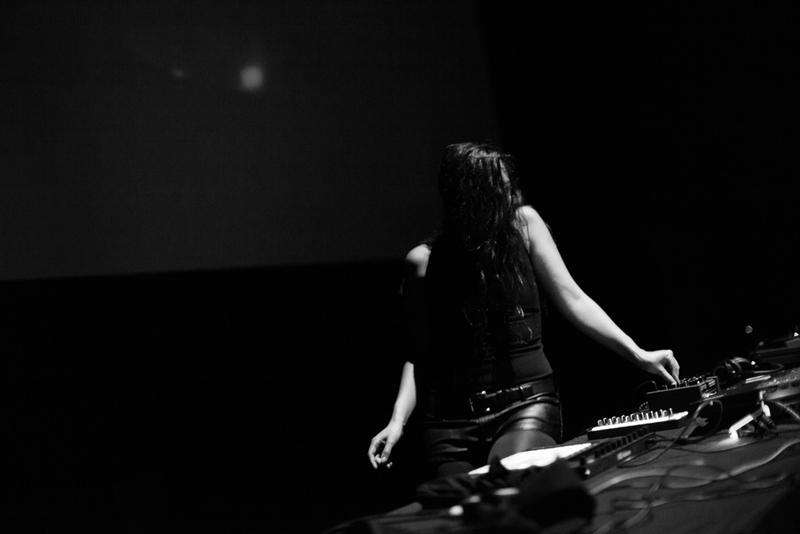 I am interested in exploring the challenges and possibilities of performing live electronic music. All mixes and podcasts I’ve done have used Ableton. However, I’m starting to receive some interesting proposals for DJ sets, such as BBC Radio, for instance. Probably now is the time to start challenge me further as a DJ. You’re a certified trainer, and of course came out and participated in their conference Loop here in Berlin with us in the fall. Is there a relationship between being an educator and a producer for you? 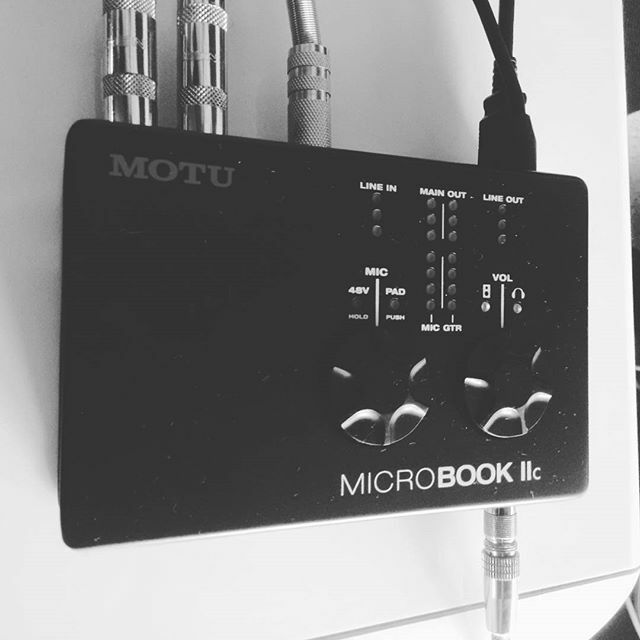 Has that technical development been something you apply in your music production? Does it inform your creativity? Totally. My knowledge in this field started when I decided to study sound engineering. But when I felt I really mastered the concepts and techniques related to music production was when I learned to transmit this knowledge to other people. Of course, working as a trainer, you’ve got people on a different level. Where do you start with them? How far in do you get, or what have you found is most useful to people working with you? Yes, I’ve worked with people of all kind of backgrounds, musical preferences, and ages. To give you a broader perspective about what I teach, it starts from electronic music history (extremely important) — Theremin, Musique concrète, Krautrock, etc. 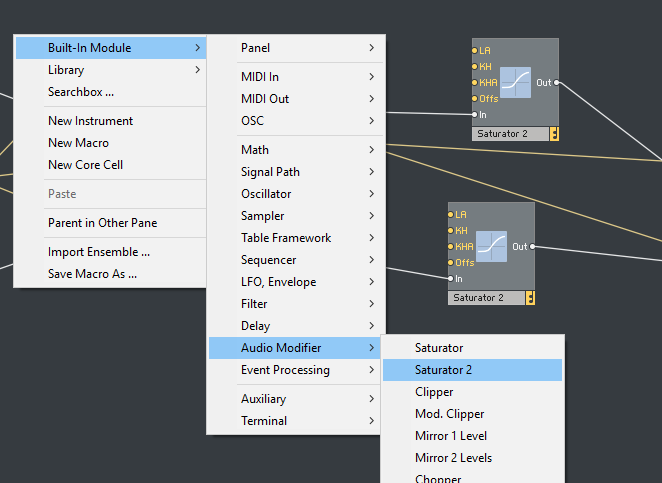 — to essential audio digital/analog theory, Ableton workflow, signal processing, synthesis, into designing a granular sampler in [Native Instruments] Reaktor. I think my main teaching skill is that I try to make technical concepts easier to digest. You’ve talked in other interviews and even in the label statement about your relationship to Mexico. I know both feelings about sexism and the change in the country are things I’ve spoken at length with my Mexican friends and colleagues about … and, for that matter, with other Americans about the state of these issues in our own country. Given everyone is describing this as some kind of change, what’s your sense of the current moment in your city and nation? Through history, particularly within Mexican and Latin American culture which I come from, the female figure has had a passive role inside society. The Female Criminals trilogy is my statement to shunt this misconception. We are living in a moment of worldwide changes. I believe it’s time to break down old paradigms, to be able to arrive into the next level as a society, as humanity. Besides, I’ve received comments from people that don’t know me very well including the label boss of a well-respected label (which I won’t mention) referring to me as ‘bro’ or [saying “well done, ‘man’,” as my name is asexual and in some press pictures you can’t see my face. But mainly I think because my music aesthetic is not ‘effeminate’. Therefore, this is a well proof of it. No labels, no paradigms anymore. Is music something that can play a role in this societal change? What does that mean for you individually versus as part of a larger scene or community? It’s a process. With the Female Criminals releases, I’ve had feedback from all over the world, which to be honest I’m very impressed by, as I’ve been doing everything in a very independent way as I’m not on a big label. On the road, I’ve had help from friends, producers that I appreciate a lot, such as Ian McDonnell aka Eomac, who has given me advice and contacts to be able to understand how the music industry works. But in general, I’ve made everything by myself, like producing my videos, tours, etc., with my label Motus Records. I truly believe music and specifically electronic music as technology could be the path to take humanity to the next level, as music is probably the only link that connects all cultures of the world. So, by sharing the vision exposed earlier by Jeff Mills and techno producers from Detroit, I’m on this field as I visualize advancement, progress, and future ‘Zukunft’ by using electronic music and technology as a vehicle to make it happen. I think my brief impression of Mexico City was, like so many of my Berlin-based friends, really of a rich sonic environment (the city itself) and then a terrific array of musical talent in the scene. What impact has it had on you working there? What influence has Mexico had? I’m not living in Mexico City anymore. I recently moved to a city close by, and I’m planning to move to a town which probably is the most beautiful and mystical in Mexico, located at the country’s center, called San Miguel de Allende. It’s near Tequisquiapan, where there’s a strange monument that marks the center of the country — a kind of portal. I have projects in the near future in this place intending to connect Mexico with the world (and other worlds) by using technology and avant-garde music as a link. But by being born, growing up, making sound engineering studies, and living in Mexico City, I realize that even with the chaos, pollution, criminality, social and politics problems, Mexico City is a colorful place, full of life and future. This city has given me the strength to survive in any place in the world, as you must be very bold and fearless to survive in it. 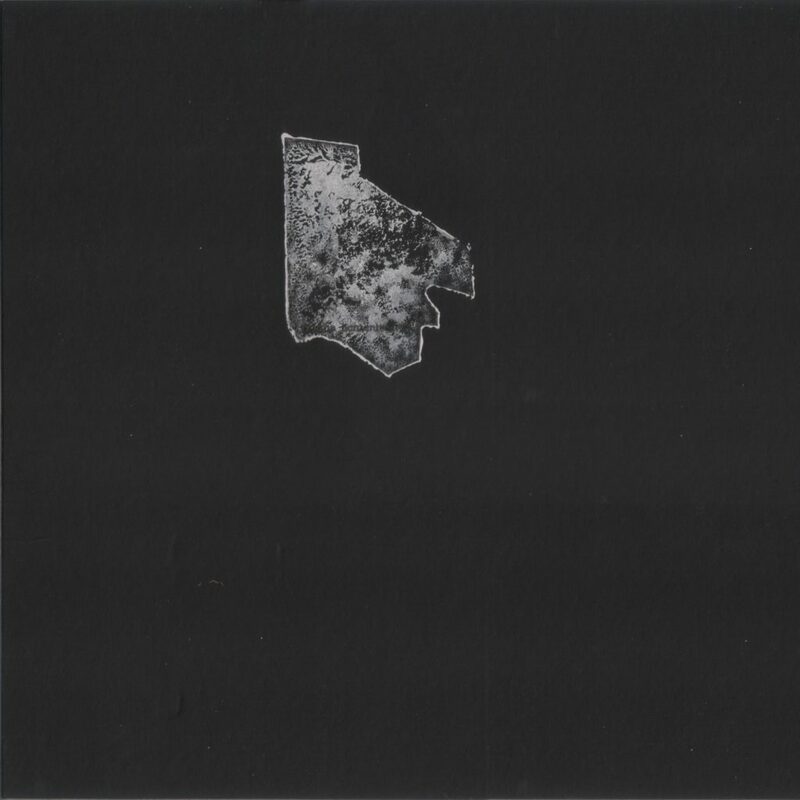 In terms of artists based in Mexico City, I advice to check out Dig-it, AAAA and A_rp. In terms of places to explore, definitely the main one is the Museum of Anthropology which personally is my favorite in the world. You will find the powerful heritage and wisdom of all the ancient cultures that built the beginning of Mexican history. Can you tell us a bit about the artists on the remix album? These aren’t necessarily names I know, and there’s some great stuff there, as well. The artists that I have invited to remix Female Criminals vol. 1 are the ones who I feel are more related with my music aesthetics. I find them to be honest artists taking risks with their work in the current Mexican music scene. 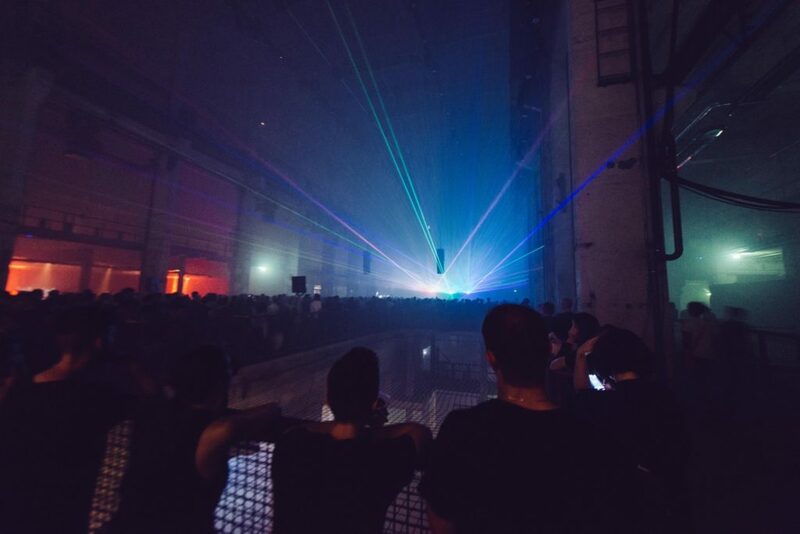 For instance, Dig-it is releasing amazing techno music with his label Vector Functions; AAAA is touring in South America with international artists, and Ar_p is pushing boundaries with his live act. Lastly, I want to ask about this theme of violence in music, and particularly techno. We talk a lot about adding darkness or demons to the music somehow. And yet somehow the experience can be the reverse – the darker or more violent the music can get, sometimes, the more grounding it can be to listen and dance to, at least for me. What’s the experience of violence as an emotion in this music? Is it catharsis? Is it related to real violence, or has it become emotionally something else for you? I don’t mean to take the title too literally – but as it’s satisfying for me to listen to, I’m curious what your emotional connection is? ‘Dark’ or ‘obscure’ is the easiest way to describe powerful, driven, wild, forward-thinking music. Personally. this is the only kind of music that can provoke me. I need to feel a kind of visceral-ism within music to be able to feel attracted to it, or touched by it. I’m not interested in music for ‘entertainment’ or recreation, maybe because I feel I am a kind of demon — a demon of the light. On this March 25th I will premiere my new A/V show alongside Olaf Bender aka Byetone co-founder of German label Raster-Noton. 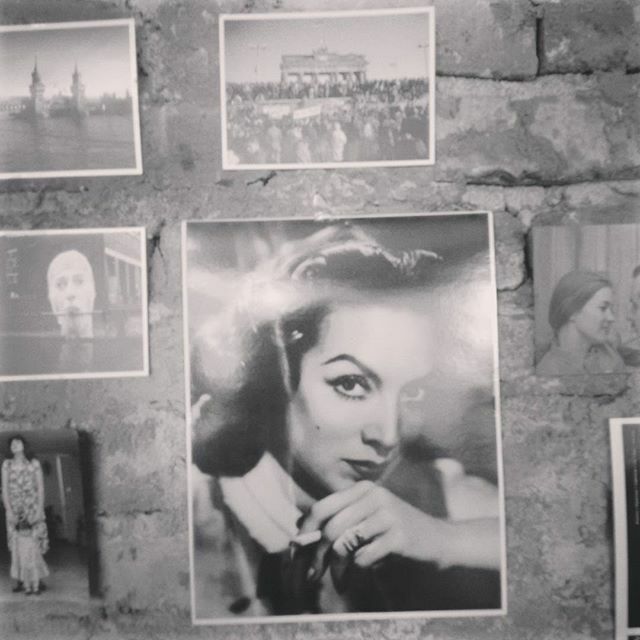 The premiere will be hosted by an event called Ciclo in a particular place which possess an occult power called Convento Ex-Teresa located exactly in the center of Mexico City, where Mexican history has begun. 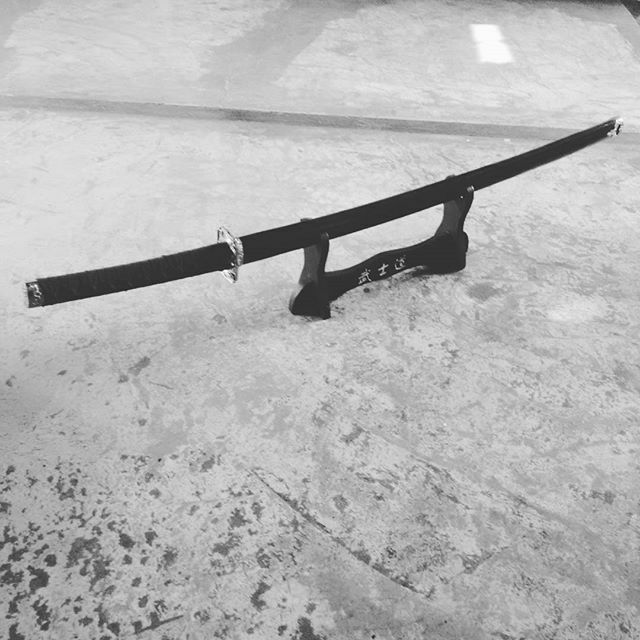 The post Demian Licht on transmitting knowledge, being a demon of the light appeared first on CDM Create Digital Music. Audiovisual experimentalist Robin Fox has been busy. 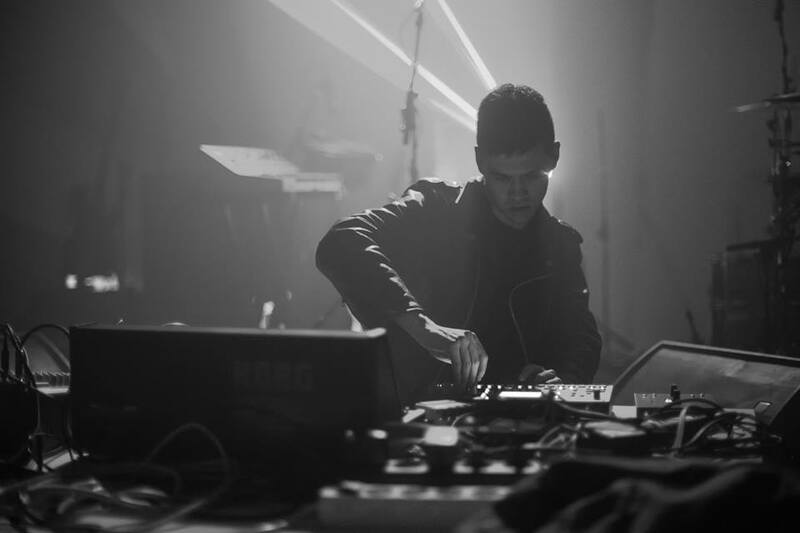 In 2016, the Australian composer and laser charmer toured Europe, presented his latest show RGB to Atonal Festival, performed at the inaugural MUTEK.JP Tokyo, and opened an organization (alongside Byron Scullin) meant to “open a wormhole into the history of electronic music” via rare synthesizers, MESS (Melbourne Electronic Sound Studio). And at the Melbourne Fringe Festival, he has premiered an installation of macro proportions. 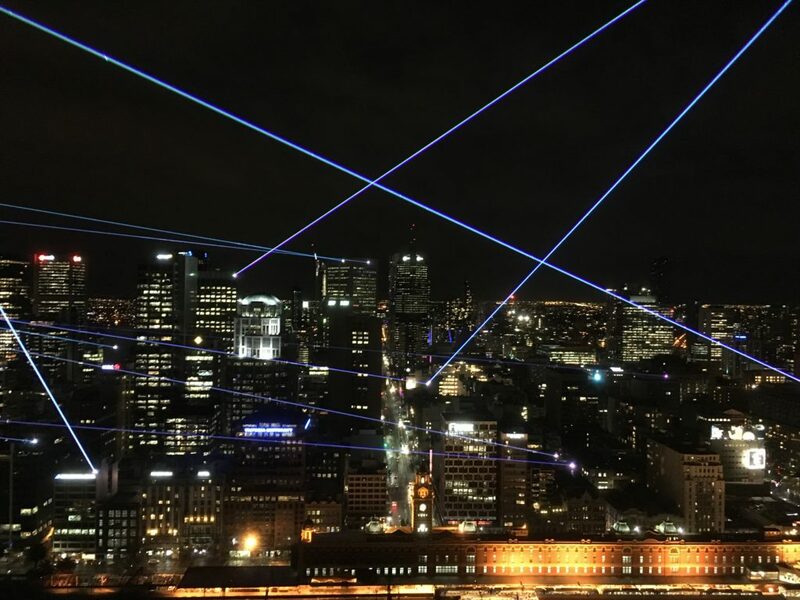 “Sky Light” took over Melbourne’s night sky with a reverie of laser beams shining from the city’s highest towers, connecting dots to turn the capital into a huge audiovisual installation. To add to the thrill-inducing experience, Fox composed new music on the Buchla synthesizer especially conceived for the hyper-spatial occasion). Over the summer during Atonal festival, we chatted casually with Robin about his future projects, key moments in his artistic process, and some beautiful influential books and concepts. The voice recorder did stay on, and that’s very fortunate, because now we’re sharing with you a piece that professes fascination for electronic music with every turn of phrase. Anahit: Did you come here straight from the airport? Robin: Yeah, I played last night in Turin – the same show you saw with Atom, “Double Vision”, was last night – so I haven’t had much sleep. I remember when I saw the show at CTM Festival 2015, I was very amused by the lyrics. “Mr Fox will make you see in RGB” was a lovely moment in the show. How did that rhyme come up? 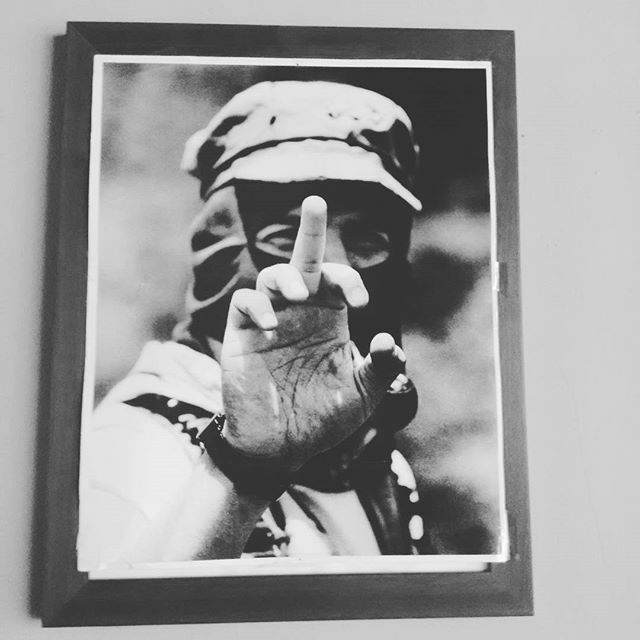 Atom [Uwe Schmidt] has an amazing sense of humor – throughout his whole career, actually – the earlier techno works that he did always show that and, of course, Señor Coconut. That’s the one where he’s doing the Kraftwerk covers. Indeed. In his work, he always has those – as he calls them – moments of tension, where he likes to break what’s happening, and leave people with the sense that they have experienced something strange. 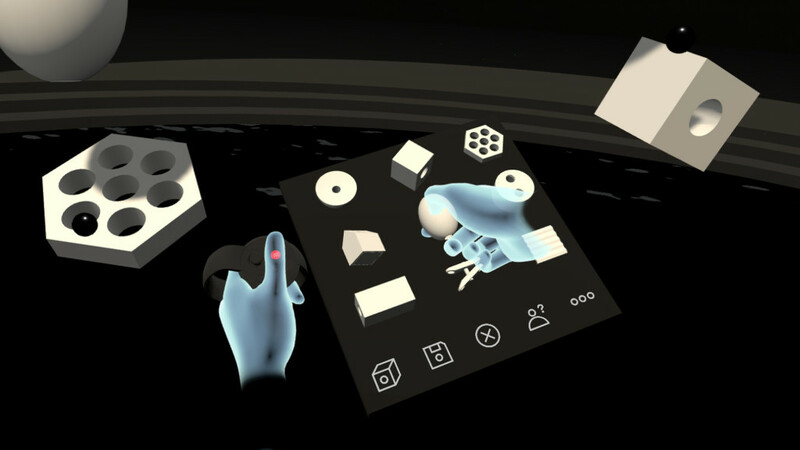 In that piece, “Double Vision”, there were a couple of moments where we made the piece remotely, because he lives in Santiago, and I live in Melbourne, so it was a really long distance collaboration, happening a lot over the internet. Then we had a short period of time in Krakow before the premiere, where we finally were physically in the same place. He wrote this beautiful pop song, “RGB”, for the middle of the piece. He also proposed a moment where everything stops, and there are just images of boxers, who don’t connect [their] punches, and it’s really slow and totally changes the whole pace. I remember when he suggested these things I thought he was kind of crazy, but I think he has a brilliant instinct for humor – and for the way it can work really beautifully without being cheap. He’s an amazing collaborator. One of my favorite satirical commentaries of his, and a really obsessive track about pop culture, is “Stop Imperialist Pop” – it’s on this Atom line of humor. That’s right. But I’m a total hypocrite, because I love that song and I also love Lady Gaga. That makes two of us. But I don’t find it to be actually hateful towards pop. Now back to Double Vision, there was also an animation, as far as I remember – adapted to the lyrics. How did that come about? When we started working together, I was just working on a new solo project, which was an extension of my old laser work. 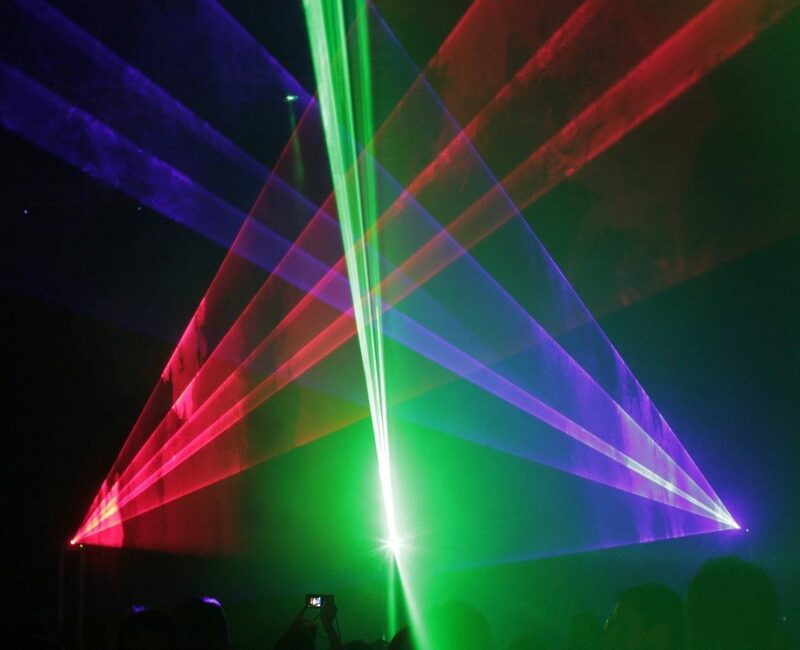 I had been using a single green laser, and I started working with red – blue – green lasers, because I wanted to split the visual spectrum up like that. So I was working with audiovisual materials, and he was working with video – there was some real connection in the way we were working. I was interested in this very direct, electrical, synesthetic relationship between the sound and the image. And he was, as well, particularly in the way he performs video and sound simultaneously live, so there is a physical connection that he forges between sound and image. When we came together to write that piece, we both brought a lot of information from the solo work that we do in our other projects. So I guess he wrote the song about RGB because it resonated with him — because of the way RGB is represented in all computer formats, in pixel form. How did you decide on switching from green laser work to something involving the RGB color standard? 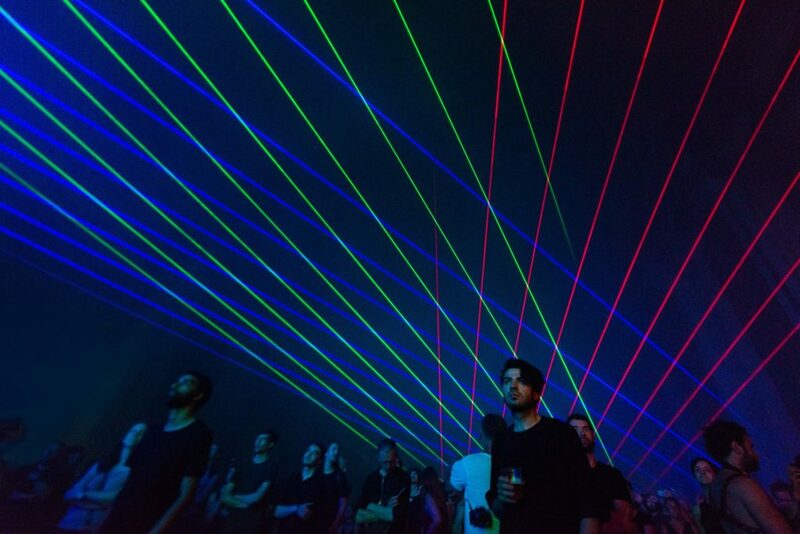 The work that I’ve done with green lasers is about sound and geometry, because there was no color. And I wanted to start to work with an expanded sense of color. That totally changed the way I work. 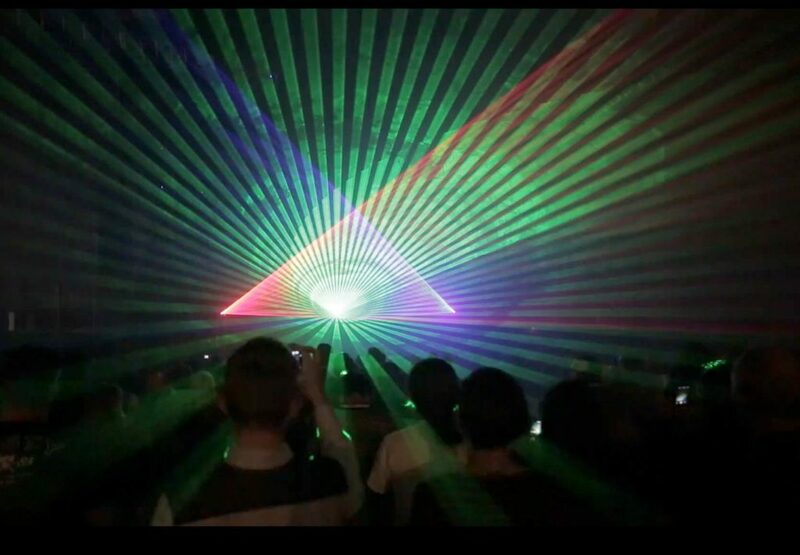 I used to make sounds, and then visualize them with the green laser. Now, I almost draw pictures of electrical signal, and then listen to them. So I draw pictures of electricity with the lasers and then translate that into sound – it’s almost like hieroglyphics, or pictograms. The solo show I’m doing here at Atonal is the solo show that I was working on when I started working with Atom. 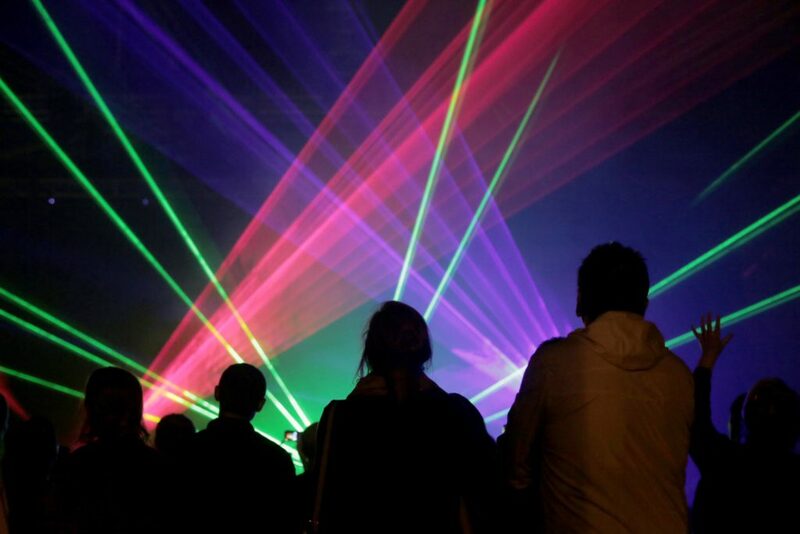 So it’s basically a red laser, a green, and a blue one, all controlled separately, and all of the sound that you hear is also the electrical signal that you see. So it’s what I like to call a mechanical synesthesia. The concept of synesthesia is central to your work. Is it an intention you bear in mind before proceeding with production, like a vector? And I’ve read that this interest was initially related to your experience with an oscilloscope? That’s right. The way I started looking at sound first was with an oscilloscope. So you plug in the left and right of the audio signal into the x- and y- axes, and then look at the sound. Also, when I studied music at university I used to write compositions on paper – and I was quite frustrated with that, and so I started to examine why. I wrote a short thesis about graphic notation and drawing sound, even with notation – so even when I was interested in more traditional music and I was studying that form, what interested me about it was how can you draw it. How can you express something in a non-linguistic, gestural form? For me, something like music notation is a linguistic paradigm. It’s very much a language – and a lot of composers of the 20th century that I looked into then were interested in shifting traditional notation into a more graphic form. So I was into that even before I got a computer. And you studied sound, as well. Not always. I also studied Law and Literature first. But music was always around in my household. My mother was a composer as well, she wrote computer music in the 1980s, so she used to make music on the big mainframe computers, and my stepfather ran the Computer Music Department at the university in Melbourne, where I studied. I was interested in sense perception, and also I had this childhood experience of synesthesia through my mother, so it was always there – and then there was this chance encounter with the oscilloscope, so it was a combination of those things. It was something that was already in my mind, but then it became real in that moment, and synesthesia became something that was no longer a romantic, mystical idea – it became a very tangible and real connection, between sound and vision – that could be experienced without having this cross model association as a neurological condition – you could experience it simply by putting sound into a oscilloscope and looking at it. That’s how it all began. Somehow that’s why the brain recognizes it as something like an archetype that you knew forever. I think archetype is a good description actually. I think that when I first experienced this mechanical synesthesia with an oscilloscope, there was something really powerful in that moment. It was just like a second and it all came together. It was like a jolt in my brain, and I knew there’s something in that connection, that I wanted to work with – which I did, for 15 years or so. Did you come across this more by trial and error, or did you have like a neuro-insight about how the brain converts the same signal by sight and hearing? It’s actually a combination of both things. I was always interested in sense perception, because I was interested in writing music. I was interested in the way you perceive information as a human being. There’s a great book James J. Gibson, written in the 60s, called “The Senses Considered as a Perceptual System”. That book was talking about sense perception as a complete ecology, as a whole way of being in the world, rather than that very western scientific method of isolating the hearing and the sight and the touch and separating them out and working out how they work independently of one another. So it’s like the way we work on genetics at the moment, splitting it all up and figuring out exactly what each piece does. I’m sure in the end it’ll work out that it’s something to do with the whole thing that we missed by zooming in on the picture. What type of synesthesia was your mother experiencing? It was sound and color and number, so there were three things. Every sound had a number and a color. And every color had a number and a sound. So it goes in a loop. You know, synesthesia is romanticized in the arts as a kind of creative gift, but when I got interested in it, later in life, and I talked to my mother about it more seriously, it was almost more like a mild form of autism – in the sense that she said ‘you can’t switch it off.’ And sometimes you don’t want to make that association, so she described it actually more as a barrage. But it had helped in her career as a singer, for example, because she made perfect pitch associations so she could sing in perfect pitch whenever she wanted very easily. Was she also making music? Is it released somewhere? 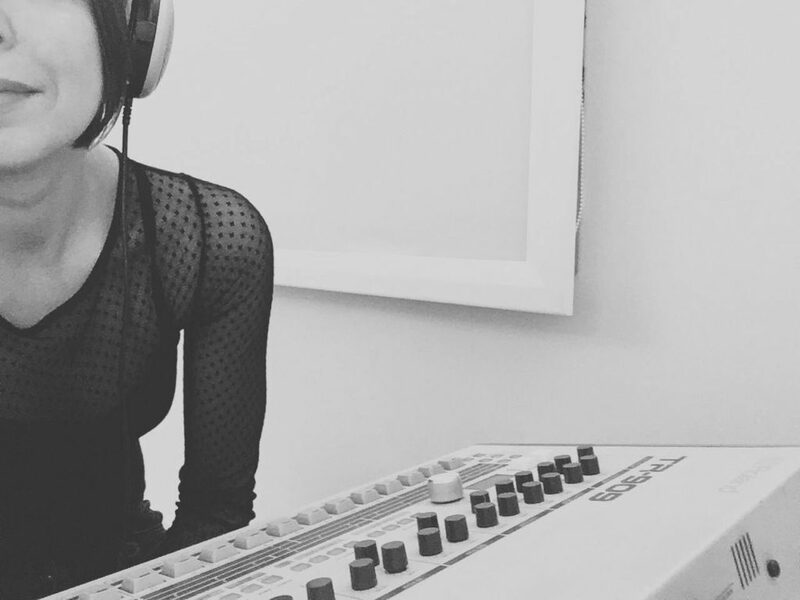 There’s a growing interest now in the work of female electronic musicians and composers. Yes, it’s an interest I’ve had for a long time, via my mother as well. She passed away a few years now, but she did leave a legacy of a few pieces. She didn’t make a lot of pieces, but the ones that she left behind are quite beautiful. I have to find them all, and I should make them publicly available. I helped her put together a CD before she died of all the pieces that she wanted to have remembered. And there is one composition that’s for electronics and brass ensemble and a choir, because she used to sing and write beautiful choral music, this piece called “Maze Songs”, which I don’t think has ever been performed properly – maybe before I die I’ll make that happen. Now I definitely want to hear that record – I’ll ask you for a track of your choice; it would be great if we could share it. Sure. My favorite one is called “Death of an Insect”. It is based on a poem of the same name. It’s a short poem about a bird killing a beetle. It’s a brief poem, but it’s quite dark. She turned her voice into a bird through electronic manipulation and it’s quite dramatic. Do you know Trevor Wishart? He wrote an amazing book called “On Sonic Art”. He had this practice in the 60s and 70s, of merging sound fields that shouldn’t sit together. An obvious example is crossfading together the sound of the city and the sound of a jungle, so you get this sense of an intermingled space. How do you define your working relationship with technology? How did you come into electronic music? When I was a child, all the newest things would arrive in the house, for testing [via his father’s university position]. So I had access to samplers when I was very young. I would just get obsessed with things. There was a sampler that had a car crash sound, and I used to play that car crash sound for hours. There was also a cat sample, so there was a car crash and a cat meowing, so I remember alternating those sounds musically. Then, I was a drummer in my teens. I still love to drum – I think I was never as happy as while playing the drums. It’s like meditation: you lose sense of time even if you should be kicking time – which is also probably why I was never a good drummer. You lose sense of space; it’s really beautiful. Now I work a lot with analog synthesizers. I think it’s a very similar meditation. The journey of making electronic music with these analog machines, where you start with nothing and gradually you build a sound, and you hear something that you’ve never heard before. How do you work with it now? Do you, for example, work on redesigning every possible setting in Ableton and stuff like that, or what software do you use? Believe it or not, I don’t use Ableton except every now and then – and I think it’s incredible. When I decided to work with computer music, I decided to learn one thing, and that was Max/MSP, and it’s more about building things from scratch. So I thought, if I learn this particular thing, I can do anything. Now, with Max for Live you can integrate this creativity into Ableton. In terms of work, for me, it was always building things from scratch, in the end — finding the simplest possible way to do things. And the way that I work with the RGB show is so simple that it’s almost stupid. It’s just like taking the voltage that makes an image, plugging it into a mixer and then turning it up. And that creates this incredible connection between the sound and the image. But it’s also the most simple and direct way you can do that. Would you describe synesthesia as a leitmotif you seek in your musical work? It’s interesting because the synesthetic work that I do has been the most visible. So it’s what I do in public the most. But I’m constantly making music, so I also make a lot of music for contemporary dance, and I was actually adding it up recently. I think in the last five or six years I made ten contemporary dance soundtracks which I need to release. I think sound is at the heart of what I love. I get frustrated sometimes about this misunderstanding that I am some kind of lighting designer. I’ve actually done some lighting designs and it’s not for me. Too much paperwork! 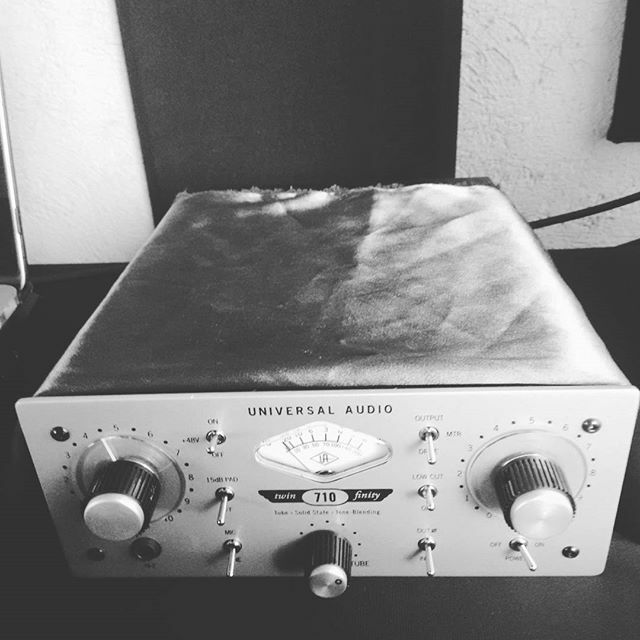 For me, sound is at the basis of everything. 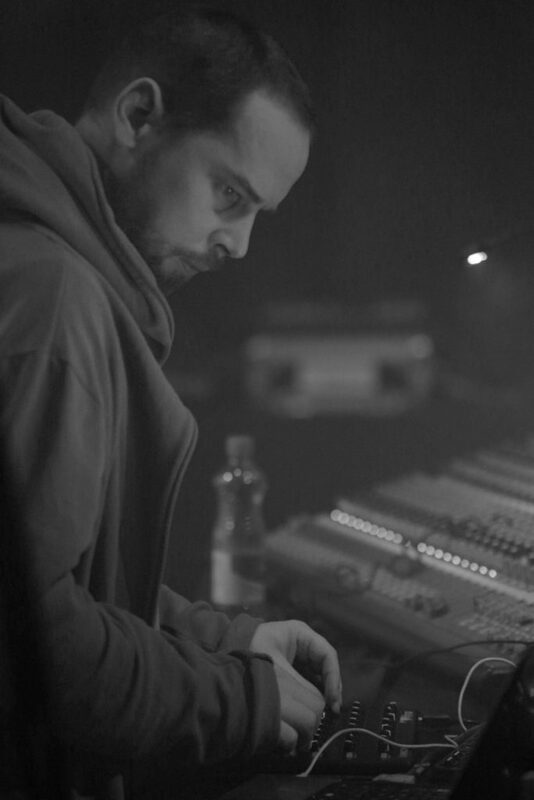 I spend a lot of time in the studio, working on sound and music and generating sound, also a lot of field recordings – the last Editions Mego release was “A Small Prometheus” which was mainly the soundtrack to a dance work by Stephanie Lake with a focus on recordings of heat, and intensity. How did you record heat? There are a lot of ways to record heat. Some are obvious, and I like to start with an obvious premise because it’s that kernel that often leads to more interesting development. So I started with just the striking of a match and recordings of fire – which is not particularly radical, but it was quite beautiful to do it and to analyze those sounds and try to work with them compositionally. The next experiment was to fill up a bath with water and put some bricks at the bottom to hold down a fire blanket, and then put hydrophones in the water, and shotgun microphones on top of the surface. Then I got some hot coals from a barbeque, and plunged the hot coals into the water. You get what you would expect [at first], which is a hiss, like when you put water over a hot pan. That’s an amazing attack anyway, but then as the hot rocks settled into the water – the recording is about 2 minutes long – suddenly it starts to sound like you’re at the beach, the sound of the sea and birds, even. It sounds really natural and organic, and strange. And from there it changes into these almost electronic tones, moving through the water. So that’s another way of recording heat or at least heat dissipating through another physical system. Also, when I was on tour once, during that process, every hotel I stayed in I recorded the electric kettle. I did this because each one has a slightly different ramp time. They actually sound quite similar, but they take a different amount o time to come to the boil. It’s always this low, filtered white noise to begin with, and then it grows into a bubbling sound, then there’s the click – and it turns off. So each one has that form, but each takes a different path. So I recorded twenty of these kettles. The idea was that maybe I could transform them into some multi channel, massive kettle. Like the hundred metronomes of Ligeti. Exactly. And the rhythmic event would happen at the end, when they all click out in various timings. So those recordings formed the basis of a track from A Small Prometheus. These days I’m working a lot with analog synthesizers. I just started an organization called MESS with my colleague Byron Scullin– that’s Melbourne Electronic Sound Studio. It’s a not for profit organization, a studio that’s set up for access, not for profit. Basically people become members, and gain access to an incredible collection of antique (and new) electronic musical instruments, things that individuals could never really afford, but we managed to find collectors and musicians willing to contribute their collections for public use. We opened in April and it’s going really well. The online address is www.mess.foundation. Ed. : Holy crap – dat collection. Swoon away! Kaitlyn Aurelia Smith at MESS. Sounds like an amazing library / museum. I don’t like the word museum though, partly because there’s a problem with museums and electronic musical instruments particularly, because when an electronic musical instrument goes to a museum, the policy is that it never gets switched on. Yeah, it’s the death of it. Old synthesizers are like old cars, if you don’t start them, and play with them, they actually stop working. So the idea that they go into a museum and can’t be turned on just in case it breaks them makes no sense. What’s the point of looking at a synthesizer? So MESS is definitely not a museum, in the sense that it is a collection of musical instruments that all function and work and are accessible to be played. They’re constantly being repaired; some are older than I am, and they need care! But it’s been a very rewarding experience to set that up. It’s taken a lot of the last couple of years of my life, actually. Did you have a lot of artists in residency already? We just had a short artist in residency with Puce Mary. She came to the studio and made some really fantastic stuff. She came over just as I started this tour, so I only got to spend a day with her. We have other residencies planned; we’re definitely hosting people from all over the place. Chris Clark from WARP records is there quite regularly, because he lives some of his time in Melbourne. 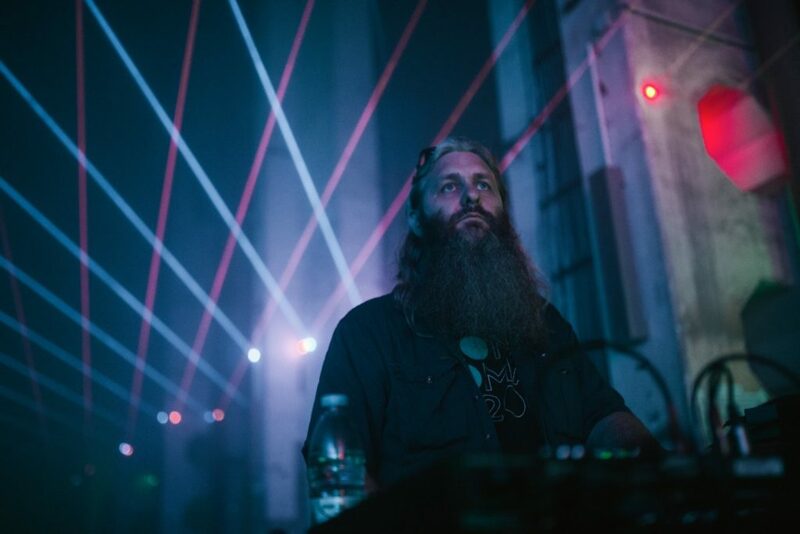 We also are lucky enough to have Keith Fullerton Whitman who lives in Melbourne now as well, so Melbourne is becoming like a place for great electronic sound making. Last but not least, I wanted to ask about the evolution from the more apocalyptic music you were doing before, to the more technology-oriented, abstract or sensory. Is it a change of philosophy? The one thing that nobody can avoid is getting old, and the difference between people is how they decide to do it. I am a strong believer in the fact that people change, as they move through life. So I definitely don’t have the same sonic energy to put out as I had when I was making those earlier records. Was it more a rage impulse? Not really, we (Anthony Pateras and I) used to have an incredibly good time making music, there was a real sense of joy. Even when we were making stuff that would be considered noise, maybe even bordering on harsh noise (laughs) we never really went there. To us, it was very ecstatic, in a way – it was a statement of life, not of the negation of life. A lot of the stuff that I make now is different because that energy has shifted. I just finished a half-hour composition for a piece that I’m doing in Melbourne, where I have 16 lasers mounted on a skyscraper in the Melbourne CBD, and I shoot them into the city, like a constellation. I made a piece of music using a Buchla synthesizer, which you can download and listen to while you walk around the city as an active experience. That’s a meditative piece, and actually melancholic. That surprised me, because I wasn’t trying to make something melancholic, but with the Buchla you always start with an idea and end up somewhere completely different. You know, I’m also making some music now that might be considered quite popular, or tend towards that style as well – which I haven’t released yet. Music you can dance to, for example. If you come from where I came from, which is the avant-garde, noise community, sometimes putting a beat with something is like selling out, or doing something too easy. There is this idea that everything has to be difficult. I don’t believe that, I don’t believe that everything has to be complicated, anymore. And I think that’s one of the energies that I lost, the energy of radicalizing something for its own sake. And this is why I think it’s about youth actually, because I feel that when I was younger, that radical energy was just there, it was coming out, it wasn’t like a choice, or a thing we were trying to do, we were just doing that, and it made sense, and it felt right. If I was to try do that again now, I don’t think it would feel right, I think it would feel strange, and I think it would feel foreign to me now. It’s like over years you get to different means of expressing that raw energy. I was listening to noise and black metal when I came across your work. And well, that is a very problematic music to enact in your everyday life, but I think what gets you most hooked is the ecstatic feeling to it. Yes, that’s adrenaline. I realized something about noise when I read this quote that sound is the fastest sense. When you hear something, it’ is quicker than your vision – and the reason is that sound goes directly to your reptilian brain, so that’s why when you hear a loud noise you get that fright. And what happens to me when I listen to noise, or experience it and particularly when I used to perform it is you’re in a constant state of that adrenalized feeling. That’s a great feeling – and again, doesn’t have to be negative. Adrenaline is often seen as negative but it doesn’t have to be so, it’s quite exhilarating. 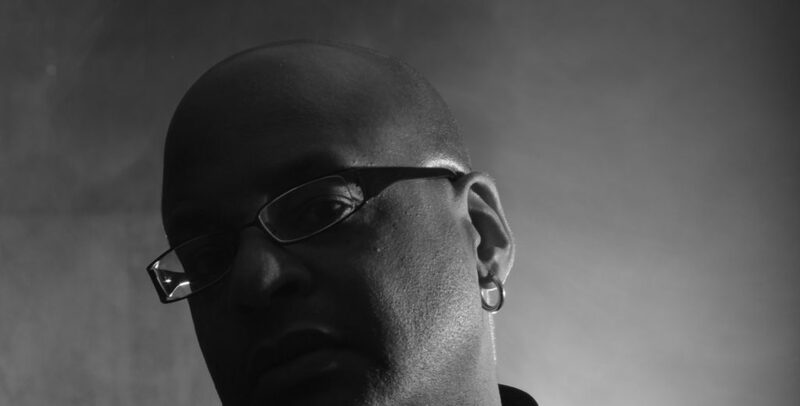 The post Robin Fox talks epic AV performances and rare synthesizer archives appeared first on CDM Create Digital Music. From Moscow to Copenhagen, Anastasia has emerged as a brilliant connector – she’s someone who manages to seem to be everywhere, know everyone, but then apply that social intelligence to greater musical depth. And I asked her here because her sets and mixes are diverse and not just cookie-cutter creations. Susanne Kirchmyer just played a brutal set at about blank his weekend. To those in the know, she’s simply a legend – a foundation of the European scene. She’s also been active in transforming the face of the scene to come, through her work with Female Pressure. The post Musical resolutions – hand-picked music to start 2017 appeared first on CDM Create Digital Music. Meditative sonic architecture meets a great work of modern architecture, as Alva Noto and Ryuchi Sakamoto invade Philip Johnson’s iconic Glass House. There are few locations more emblematic of contemplative modern aesthetic than Philip Johnson’s 1949 residence, a transparent box stripped of much beyond its focused proportions and structure. And that seems a fitting location for the exposed materials of Karsten Nicolai and Sakamoto. 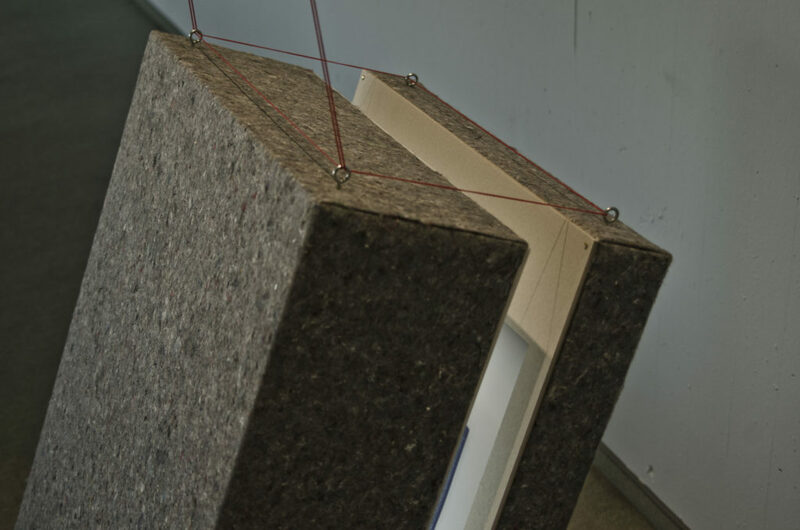 Their sounds, like the house, leave exposed sounds transparently suspended in space, each available for extended, thoughtful observation without distraction. Here, they float sounds electronic, electro-acoustic, and amplified like so many blown bubbles drifting through the air. In a bath of reverberant sustain, that wash of sound seems to inhale and exhale as a gas. It hums and expands, a vast cloud of sound penetrated by sharp, sparkling percussion. 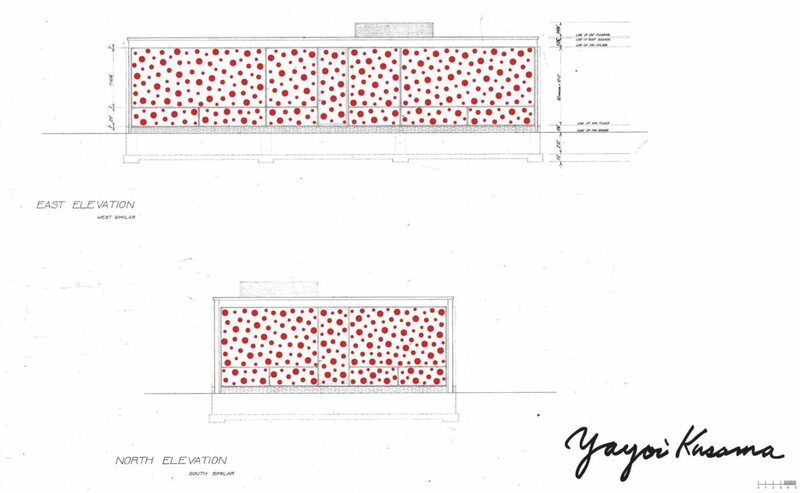 It’s beautiful stuff, and it times nicely with a cloud of red spots affixed to the house in an installation by the one and only legendary dot-obsessed artist, Yayoi Kusama. Kusama’s dots seem a mirror for the pixels and textures of Karsten and the raster-noton crew. It’s wonderful seeing that play of dots against the cold rectangles of Johnson’s floor plans – defacing that architecture somehow harmoniously. Oops, there’s that word again. But if any piece of architecture should be called iconic, this one really is iconic. I mean, you can buy LEGO kits of it. And it looks a bit like LEGO. 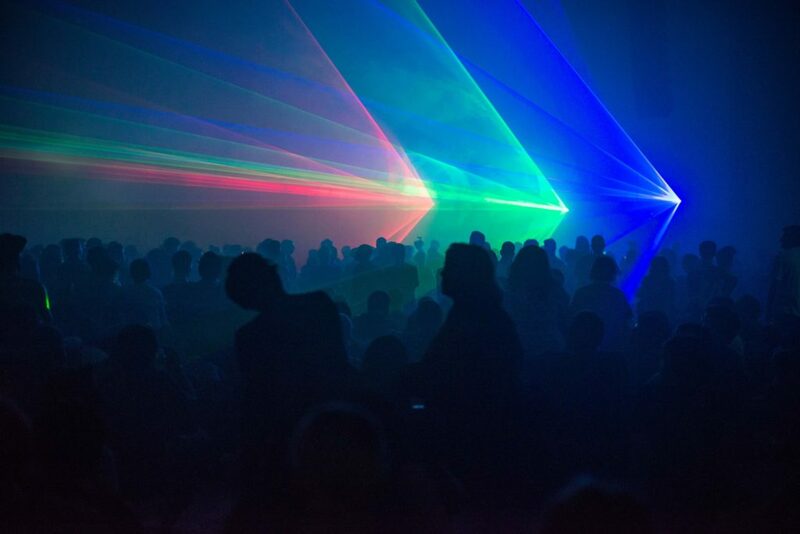 Lecture: Carsten Nicolai (Madrid 2011) from Red Bull Music Academy on Vimeo. The post Find tranquility in this film with Alva Noto, Ryuichi Sakamoto appeared first on CDM Create Digital Music.